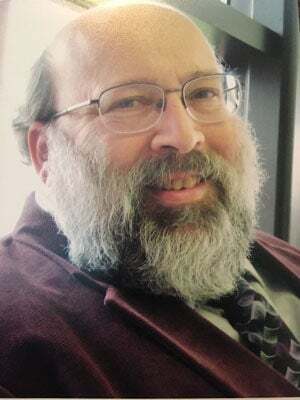 Harry Wolf Brod, Professor of Sociology and the Humanities at the University of Northern Iowa, died on June 16, 2017 in Cedar Falls, Iowa of cardiac arrest. He was 66 years old. He was born in Berlin, Germany, and grew up in New York, and also lived in the Philadelphia area. He was a prominent intellectual and a pioneer in Gender Studies who authored several books, but most of all, he was a loving father to his children, Artemis and Alex, and a loving partner to Karen Mitchell. He received his PhD in Philosophy from the University of California and his Bachelor’s degree from New York University. Having held positions at the University of Southern California, Kenyon College, and the University of Delaware, among others, he came to UNI in 1999. He has served the university community and the state of Iowa in many ways. He served as Director of the Iowa Regent Universities Men’s Gender Violence Prevention Institute and on the Boards of Directors of Humanities Iowa and the Family and Children’s Council of Black Hawk County. He was a member of the Iowa Governor’s Task Force for Responsible Fatherhood. Harry dedicated his life to teaching and social justice causes. Both commitments stem from his history as a child of Holocaust survivors and a child of the ‘60s. He is recognized as one of the founders of the academic study of masculinities and has acted as a spokesperson and advocate for the profeminist men’s movement. He was also a leading figure in the field of Jewish Studies. His books reflect his range of interests and commitments. His most recent book is “Superman Is Jewish? : How Comic Book Superheroes Came to Serve Truth, Justice and the Jewish-American Way,” published by Free Press (Simon & Schuster) in 2012; his earliest book, based on his dissertation, was “Hegel’s Philosophy of Politics: Idealism, Identity and Modernity” (Westview, 1992). He has edited innumerable volumes on masculinities broadly speaking and on Jewish masculinities in particular, including a volume co-edited with Rabbi Shawn Zevit, who will preside over the funeral. Additionally, he has published works on anti-racism and he co-edited “The Legacy of the Holocaust: Children and the Holocaust” (Jagiellonian University Press, 2002). A DVD of his lecture “Asking For It: The Ethics and Erotics of Sexual Consent” is produced by Media Education Foundation and is used internationally by colleges, universities and other institutions, including the U.S. Air Force, for sexual assault prevention education. Harry is survived by his two children, Artemis Leah Brod (Federica Carugati) and Alexandros Zev Brod, the mother of his children, Maria Papacostaki (Terry Mutchler), his sister, Jeanette Lazer (Sasha Lazer), and his life partner of 18 years, Karen Mitchell. A memorial service will be 2 p.m. Sunday, June 25, at Hagarty-Waychoff-Grarup Funeral Service on West Ridgeway, preceded by one hour of visitation. Burial was in Laural Hill Cemetery, Philadelphia, Pennsylvania. In lieu of flowers, donations may be made in honor of the Harry Brod Masculinities Studies Collection at St. Norbert College in De Pere, Wisconsin or the Yad Vashem World Holocaust Remembrance Center (https:/secure.yadvashem.orgonation/tribute.asp).